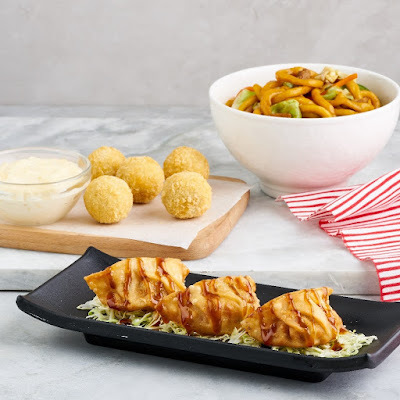 Exclusively offered for one day only, enjoy your favorite Tokyo Tokyo side dishes at very special discounted rates! 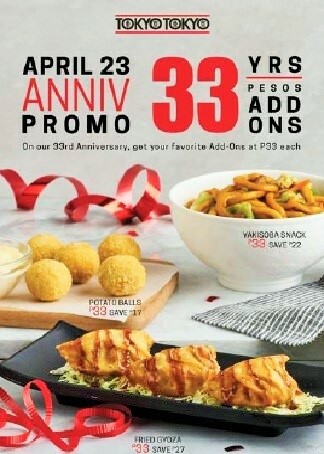 Don't miss Tokyo Tokyo's 33rd Anniversary Promo! Celebrate with Tokyo Tokyo on Monday, April 23, 2018, by feasting on your favorite add-ons at only P33.00 each. 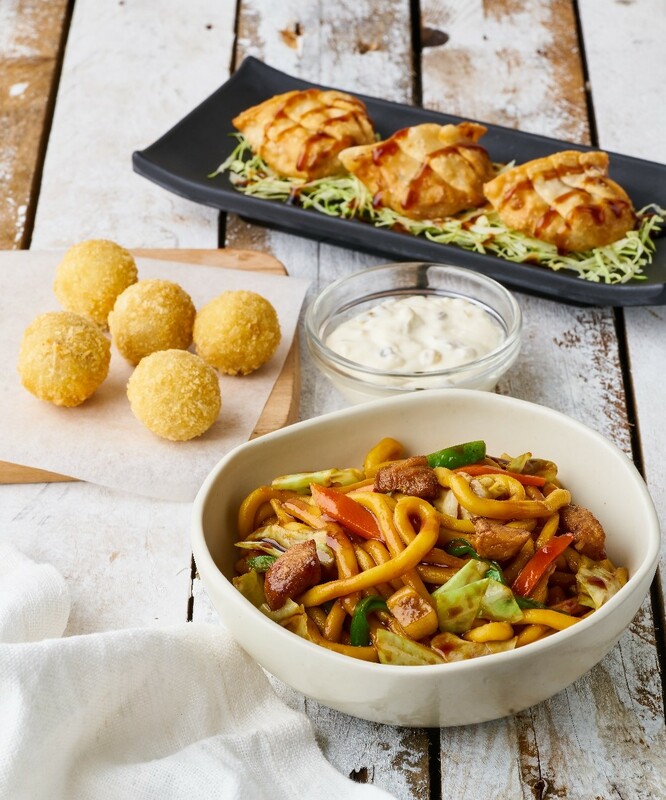 With savings up to 45%, enjoy the Yakisoba Snack Bowl, Potato Balls and Fried Gyoza all at discounted prices. The promo will be exclusively offered for one day only and will be available at all Tokyo Tokyo branches until supplies last. Bring your family and friends to the nearest Tokyo Tokyo branch and feast on these classic side dishes.